When I moved to Hawaii 13 years ago, I discovered the phenomenon of regional holidays that had nothing to do with the conventional dozen celebrated in the US—Labor Day, Thanksgiving, the Fourth of July, and so on. In Hawaii, schools and offices close not only on the “normal” holidays, but also on March 26 for Prince Kuhio Day, on June 11 for King Kamehameha Day, and on August 19 for Statehood Day, giving kids of all ages a blissful abundance of days off. Each of these commemorations marks a significant historical event or figure, as do most of the holidays we celebrate, but there are dozens­—even hundreds—of lesser-known holidays of uncertain origin. For instance, on July 19, we have Stick Out Your Tongue Day. How on earth do such silly events get on the books? That’s unclear, but since Stick Out Your Tongue Day is indeed a real thing, we might as well celebrate by taking a closer look at the tongue from the standpoint of health. That the tongue plays a role as a barometer of health is undisputed in virtually all approaches to healing. Remember the first time the doctor told you to stick out the demure appendage and say “Ahhh”? It’s common knowledge that a coated tongue signals trouble. But the art of reading tongues goes beyond looking for the tell-tale strep yellow. Although MDs “may” check your tongue if you complain of a sore throat or certain other symptoms that they believe might show up on the tongue or in the throat, Eastern doctors may start your visit by looking at your tongue, and what they observe may form the foundation of your overall health evaluation. They notice everything about the tongue—the size, the shape, the color, and the texture. As noted above, every region of the tongue corresponds to a body system in Eastern medicine, so practitioners will also notice the exact location of tongue abnormalities. Western practitioners, on the other hand, don’t necessarily check the tongue at all. No matter what system the healer adheres to, tongues showing unusual color or texture signal cause for concern. Normal tongues should be pink, smooth with little bumps (also known as papillae, where the taste buds are located) evenly covering the surface, and they should have a thin white coating.2 When something goes awry in the body, the tongue often shows swelling, discoloration, changes in texture or moisture, coatings, and lines or ridges. What should you be looking for on your own tongue? First, check the color. In Eastern medicine, red or purple tongues indicate too much heat in the body, or, put another way, too much “Yang.” Translated, this might mean there’s organ hyperactivity or an infection or inflammation somewhere in the body. On the other hand, if the tongue color is pale, there’s too much “Yin,” or not enough heat in the body, indicating lack of energy, anemia, and also possibly infection. The location of the discoloration on the tongue can give a clue to the body system affected. As I’ve mentioned, according to Eastern medicine, different points on the tongue are connected to particular organs. If the area of the tongue associated with the liver­—the outer edge—is red, for instance, cirrhosis or a liver tumor might be present. The tip of the tongue corresponds to the heart and small intestine. Right behind the tip, you find points corresponding to the respiratory and immune systems. The center of the tongue corresponds to the stomach, spleen and pancreas, and the back of the tongue is the region of the bladder, kidneys, and hormonal system. Coatings on the tongue also tell a story. You have the color of the tongue itself, and then the coating on top, which should be a thin white layer so that the underlying color is clear. If the coating is thick and white, it indicates that the papillae are inflamed from a build-up of bacteria and fungus.5 White coatings can signal bacterial infections like Candida (yeast infection), Thrush, Syphilis, or Strep. White coatings also may appear if there’s periodontal disease or if AIDS is present, if you’re dehydrated, taking certain medications, or when there’s poor digestion. If there’s a patchy white spot in the mouth, you might have Leukoplakia, which comes from an overload of cells and keratin buildup. This can be caused by smoking or drinking too much alcohol, and though it’s painless, it can signal a pre-cancerous condition. There are certain configurations of tongue symptoms that usually mark particular digestive issues. For instance, when you have heartburn, your tongue turns red and usually dry. 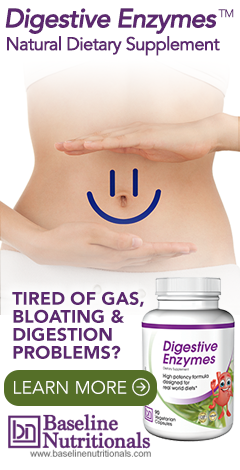 But if you have irritable bowel syndrome, the opposite will occur. Your tongue will be pale in color from the lack of digestive acids and enzymes, and wet from mucous generated as the body tries to compensate. On the other hand, if the problem is irritable bowel syndrome, the tongue goes pale and wet. In the case of both IBS and acid reflux, the pupillae contract and the tongue appears smooth. When a person doesn’t digest food well, the tongue will be pale in parts and red in others. To enumerate all the various iterations of tongue disorders would require a graduate course, but you probably get the idea by now. You can choose to ignore evidence that your health is in decline, but if you decide to celebrate this peculiar holiday and stick your tongue out on July 19, your health issues can be posted on social media and read by those who know. Then again, maybe it’s better to keep your tongue in your own head and stick it out only in front of the mirror, where you can use what you notice to make sure your health is on track. PS: And yes, Jon Barron is a fan of oil pulling and daily tongue scraping to keep your tongue and mouth healthy and happy. Thank you for your unwavering commitment to health and well-being!